Cushion brilliant diamond framed by double edge micropave halo. 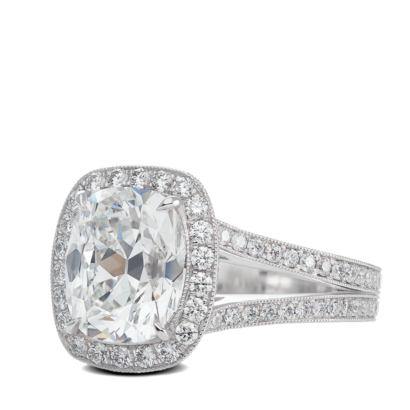 The multiple row micropave band is meticulously set with three rows of melee. 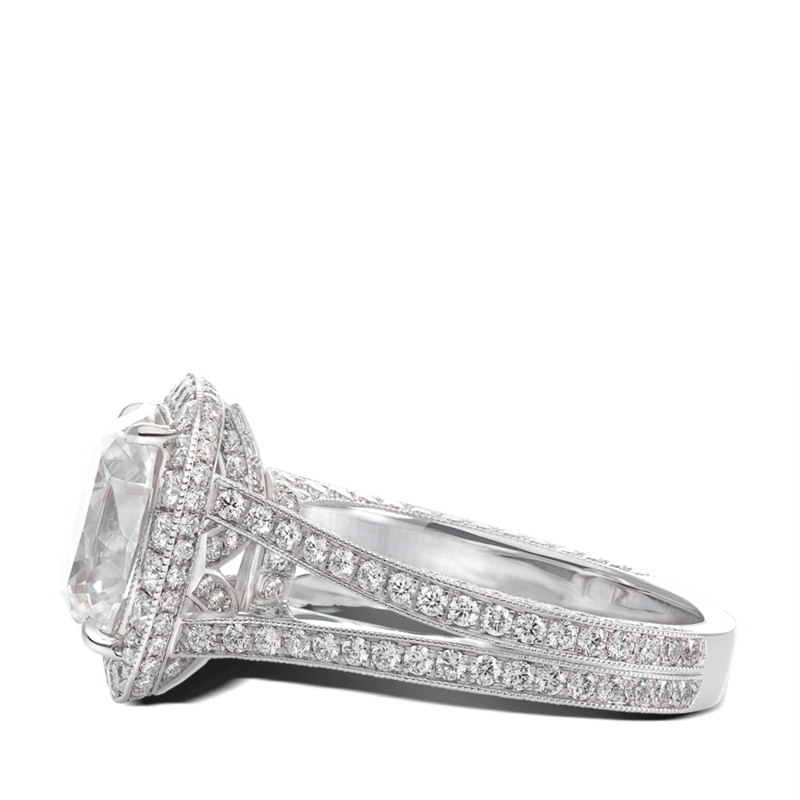 Bright cut pave and hand applied milgrain through out the ring adds an antique touch. Hand-forged in platinum. 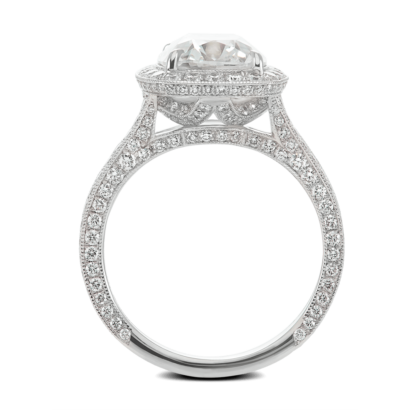 Designed for a 4ct cushion center stone. Can be made for any size center stone.